Only 3 miles to the Santa Fe Plaza Lamplighter offers a large indoor pool with hot tub- complimentary gourmet continental breakfast- free wireless Internet access in all rooms and all public spaces- free local calls- refrigerator- coffeemakers- radio alarm clocks- 25 inch TV with 70 expanded cable channels- HBO/ESPN 1 and 2- iron/board- hairdryer- and international direct dial data ports in all rooms. We are a 100 percent smoke free hotel. A microwave is available for a charge of 5 USD. Sorry no pets allowed. Our recreation Room provides a guest computer with free WiFi access. 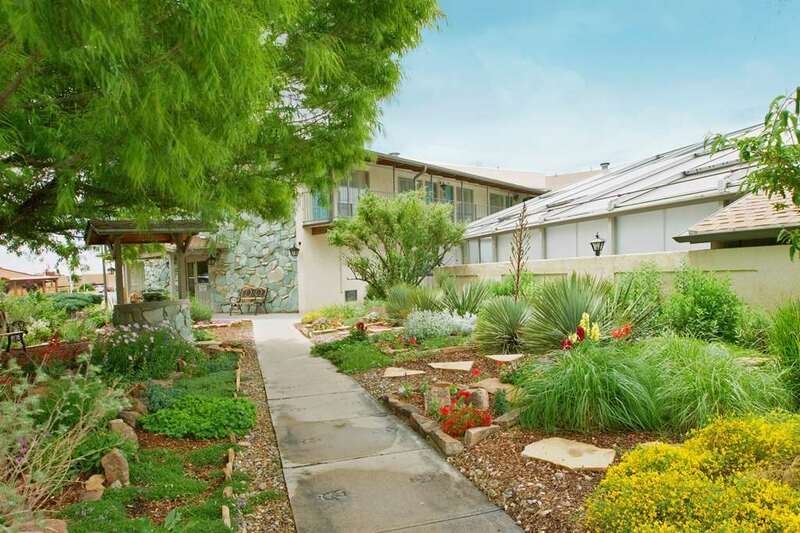 We are conveniently located near Interstate 25- just 3 miles from Historic Downtown Santa Fe Plaza and centrally located with easy access to Galleries- Museums- Airport and all major points of interest. The College of Santa Fe and the Shellaberger Tennis Center are located across the street as well as the State of New Mexico Library and State Office Complex. In addition- we are the ideal Home Base for excursions into Northern New Mexico whether you are visiting Casinos- Pueblo Dances- Sightseeing- or enjoying the many outdoor activities including skiing at the Santa Fe Ski Basin which is only 16 miles away. Los Alamos National Lab and the Bandelier National Monument are approximately 40 miles away. After a long day of exploring our great sites- enjoy a relaxing dip in our recently renovated large- four-season- heated indoor pool and hot tub. The Lamplighter staff is at your service- and will be happy to help you plan your Santa Fe itinerary. Come enjoy the best value in Santa Fe at the Americas Best Value Lamplighter Inn. We look forward to making your next visit as peaceful and relaxing as possible. Offsite Dining: No Food and beverage facilities on-site however there are plenty of restaurants nearby. The Americas Best Value Inn-Lamplighteris conveniently located one mile from Interstate 25 at 2405 Cerrillos Road in beautiful Santa Fe/ NM.